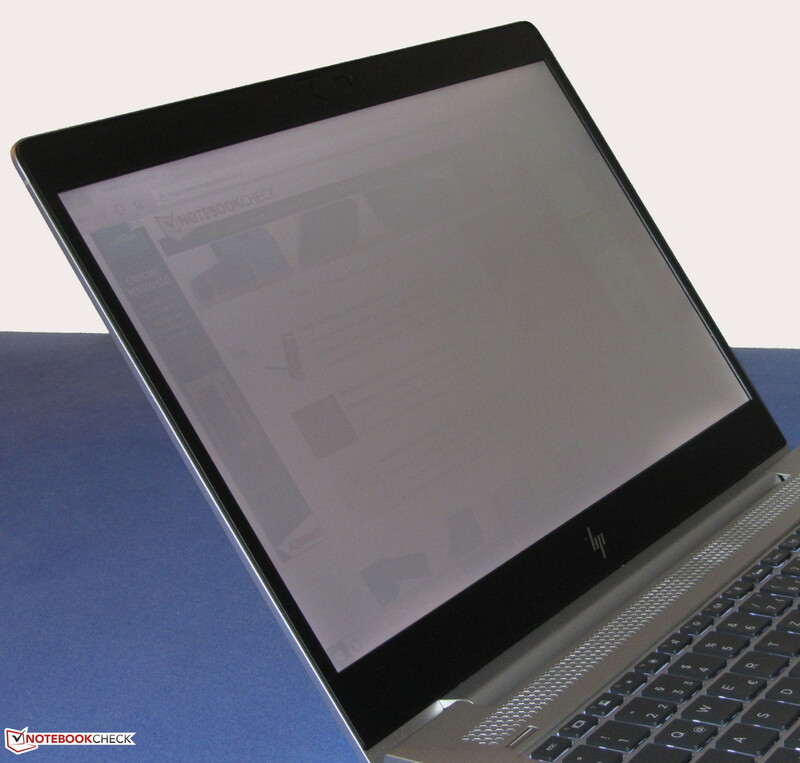 Privacy screen at the touch of a button.When it comes to Hewlett Packard's top-of-the-line model from their EliteBook 840 G5 series, the manufacturer is not fiddling about. On board you will find a very bright IPS display with a privacy screen, an LTE modem, 32 GB of RAM and an NVMe SSD. 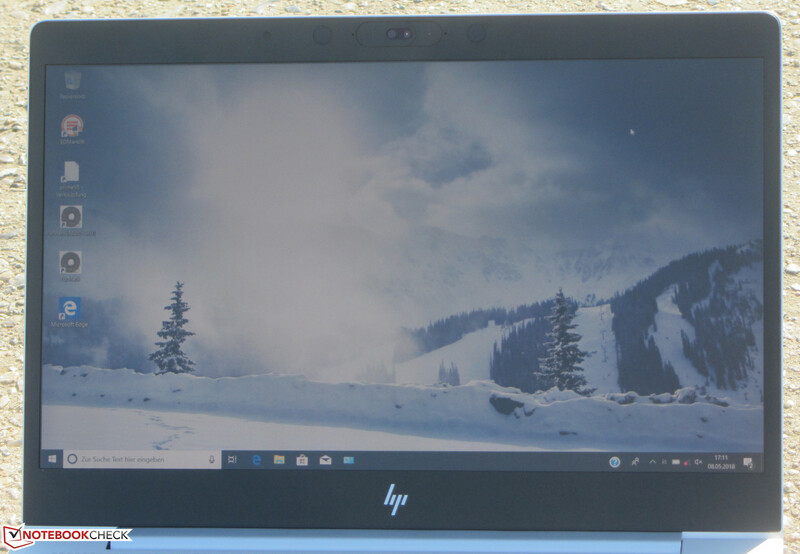 HP appears to have set their sights somewhat lower in terms of battery life—some of the competition has more to offer here. The EliteBook 840 G5 belongs to the luxury class of 14-inch business laptops. 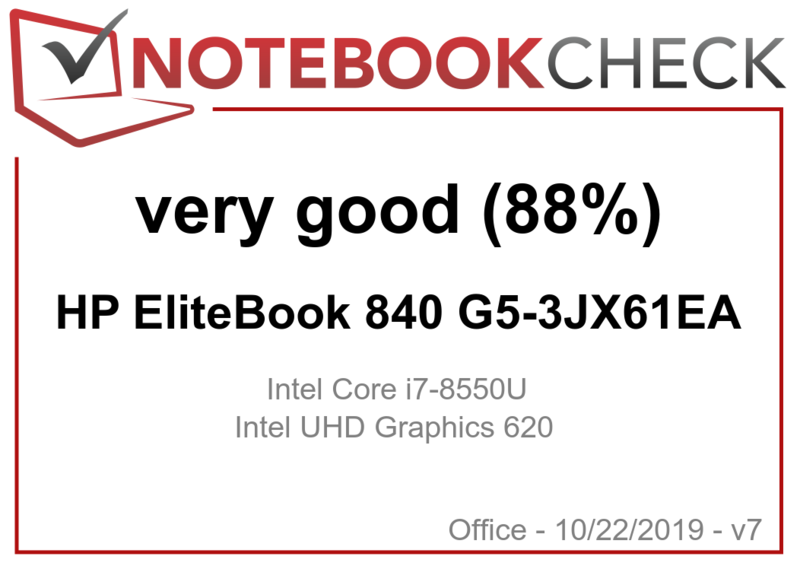 We have already reviewed one model from this series—the EliteBook 840 G5 3JX66EA. Now we turn our attention to the series' current top model. 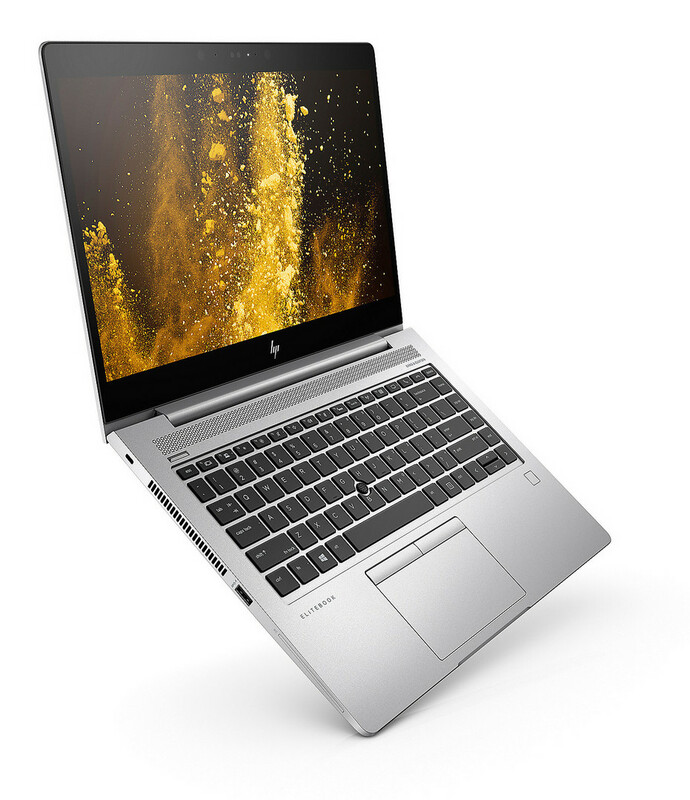 HP is not cutting any corners when it comes to the laptop's configuration: A Core i7 processor, 32 GB of RAM and a 1 TB NVMe SSD have made the grade. The competition comprises of notebooks like the Lenovo ThinkPad T480s, the Fujitsu LifeBook U747, the Dell Latitude 7480, the Acer TravelMate P648-G2-M, and the Lenovo ThinkPad X1 Carbon 2018. 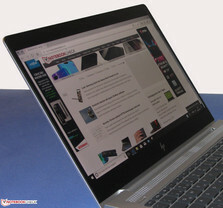 Since we have already reviewed another EliteBook 840 G5 model, we will not cover the case, connectivity, input devices, display or speakers at length. 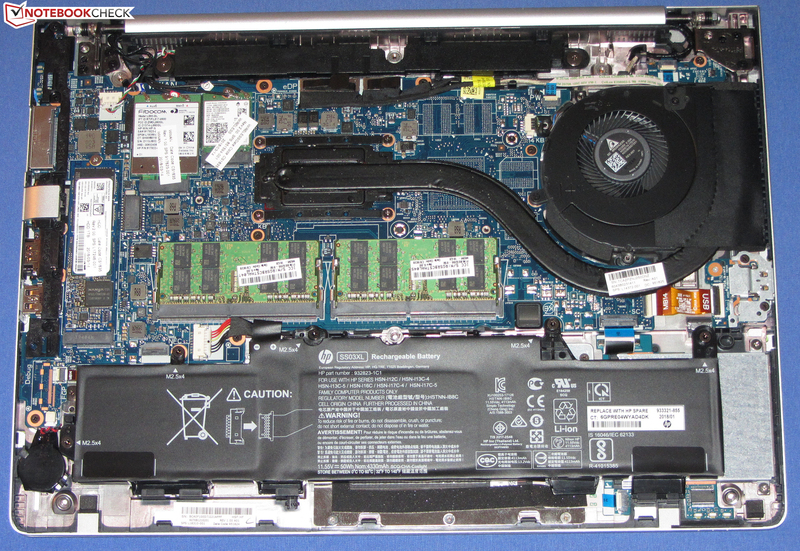 For more information on these subjects, please see our review of the EliteBook 840 G5 3JX66EA. The matte 14-inch display has a native resolution of 1920x1080 pixels. Its contrast ratio (1170:1) and brightness (629.8 cd/m²) are good and very good, respectively. 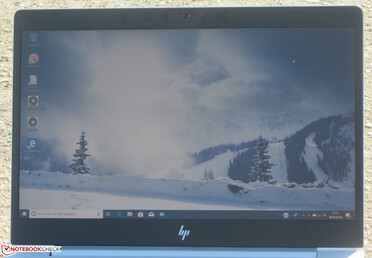 The screen is equipped with HP's SureView technology. This innovation shields the display content from anyone peering from side angles. There is a function key for turning the privacy screen on and off. At brightness levels of 90 percent and below, the display uses PWM backlight flickering at a frequency of 3125 Hz. A frequency in that high range should spare even sensitive users from eye problems and/or headaches. 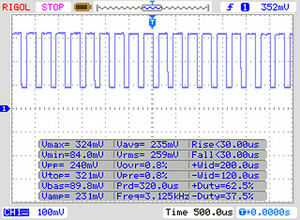 The display backlight flickers at 3125 Hz (Likely utilizing PWM) Flickering detected at a brightness setting of 90 % and below. There should be no flickering or PWM above this brightness setting. 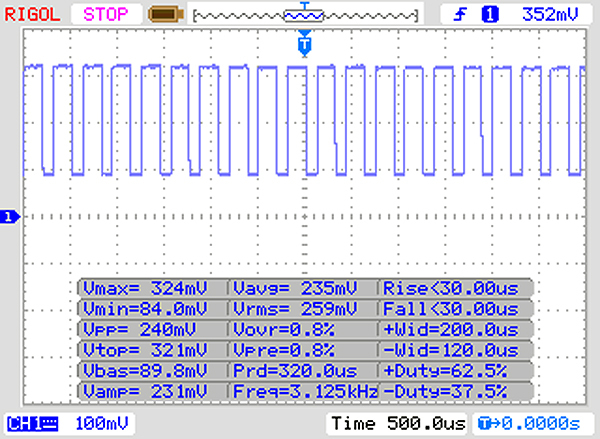 The frequency of 3125 Hz is quite high, so most users sensitive to PWM should not notice any flickering. In factory default, the display's DeltaE 2000 color deviation comes to 3.27—just barely missing the target range (DeltaE less than 3). The screen has no blue cast to speak of. 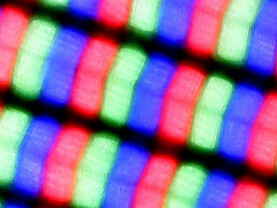 Calibrating the display does not improve the color reproduction. In comparison, all tested devices range from 0.9 (minimum) to 636 (maximum) ms. » 21 % of all devices are better. The IPS panel that HP has selected for the EliteBook has stable viewing angles, allowing the user to view the screen content from any perspective. Of course, this is only true if the privacy screen (SureView) is deactivated. 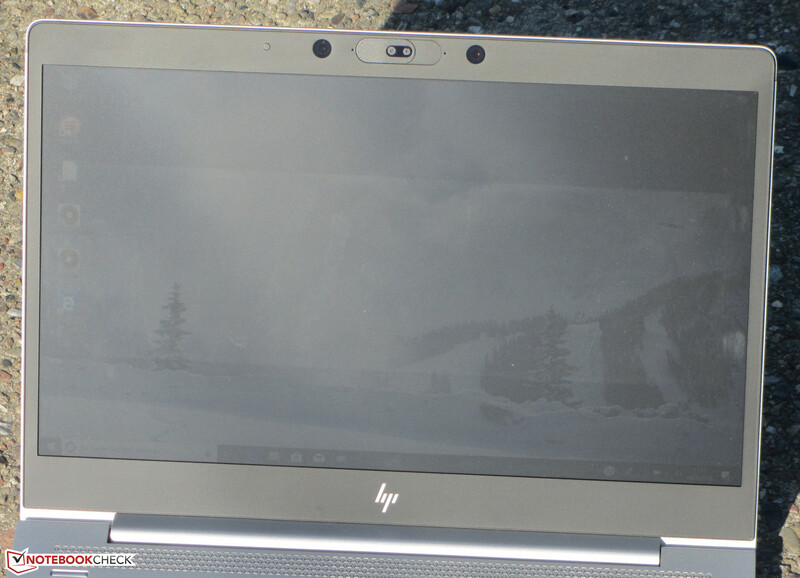 Thanks to its high display brightness, the laptop can also be used outdoors. Even so, it is wise to avoid direct sunlight. 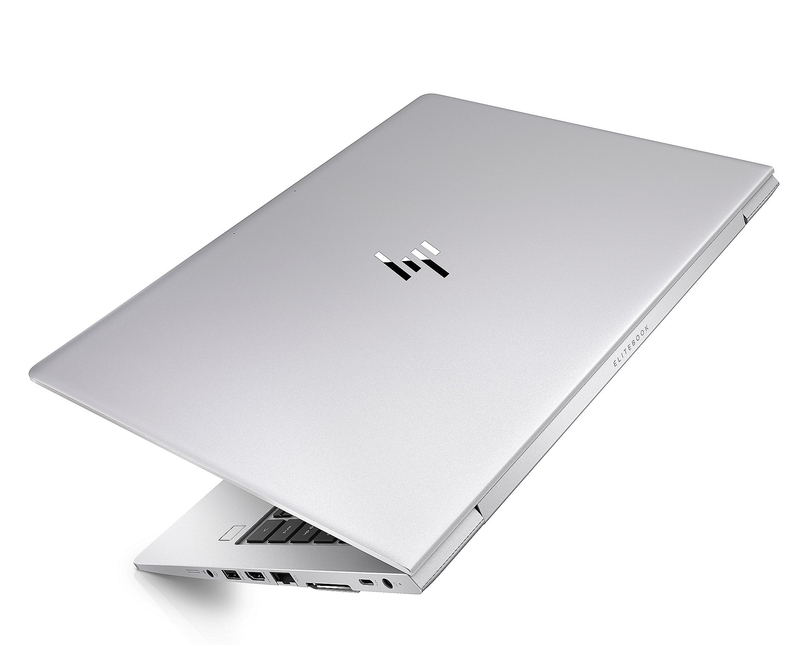 The EliteBook 840 G5 belongs to the luxury class of 14-inch business laptops. The system provides enough processing power for all the usual application scenarios. The laptop is equipped with features typical of a business device, such as a docking port and a TPM. Our test device is available for around 2700 Euros (~$3125; US model with 16 GB of RAM and 512 GB NVMe SSD on the market for $1737). 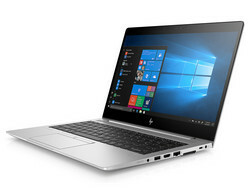 HP also offers other versions of the computer with different hardware components. 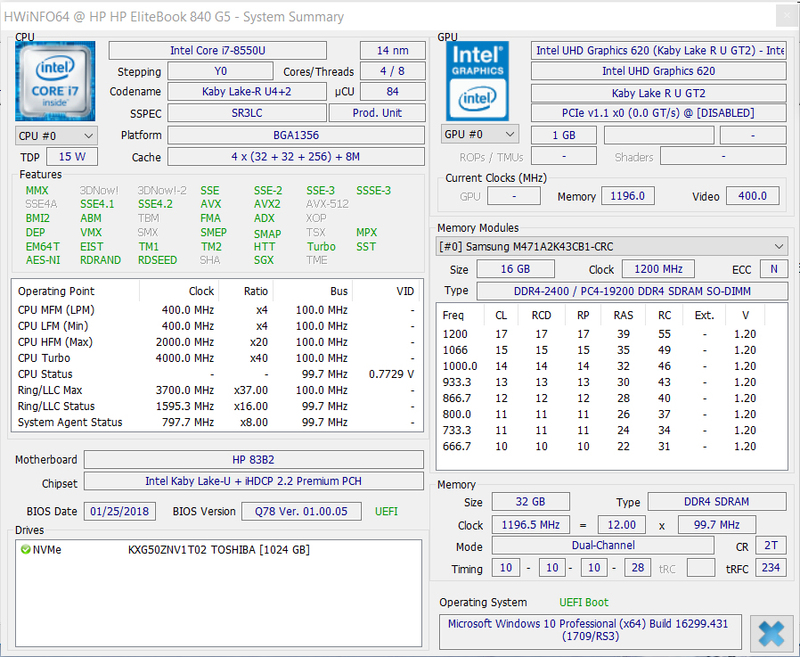 In the computer's BIOS, there is an option labeled "Enable Turbo Boost on DC". This makes it possible to specify whether the CPU's turbo should be used in battery mode. Because the function is deactivated by default on our test device, we ran our tests with the function deactivated. 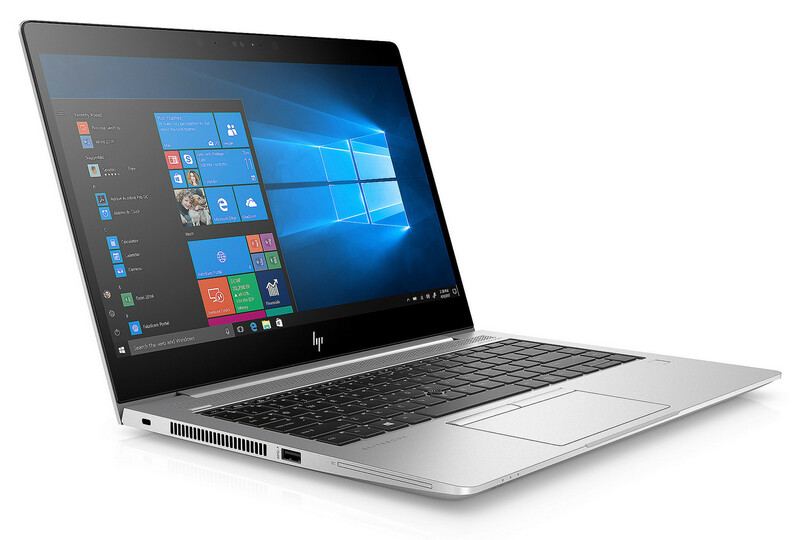 The EliteBook runs on an Intel Core i7-8550U (Kaby Lake Refresh) quad-core processor. 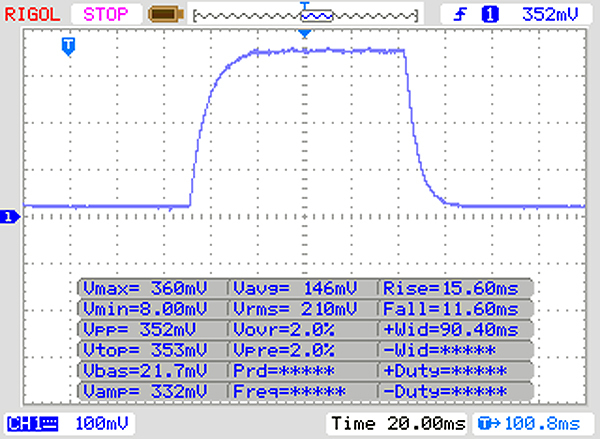 This is a ULV model (TDP: 15 watts) that should satisfy the needs of most users. 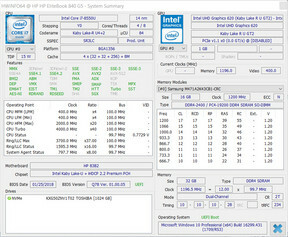 The CPU runs at a base clock speed of 1.8 GHz. Using turbo, it is possible to increase the speed to up to 4 GHz. 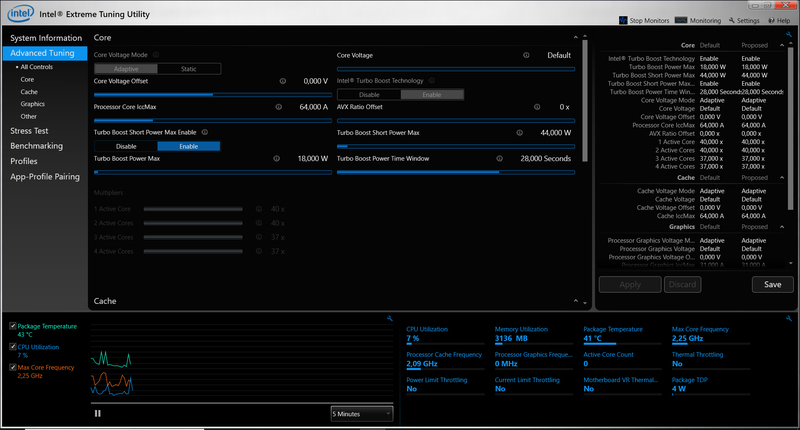 The Cinebench benchmark's multi-thread tests ran at 3.4 to 3.6 GHz for a few seconds and then the speed throttled down to between 2.4 and 2.5 GHz. The processor performed the entirety of the single-thread tests at 3.4 to 4 GHz, although that was only true in AC power mode. 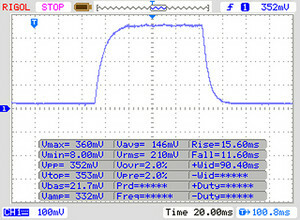 In battery mode, the CPU ran the tests at 1.6 to 1.8 GHz (multi-thread) and 1.6 to 2.2 GHz (single-thread). The reason: In the computer's BIOS, the option "Enable Turbo Boost on DC" is not activated. Should the user turn it on, the turbo will kick in even in battery mode. To determine whether the CPU fully utilizes its turbo without interruption in AC power mode, we ran the Cinebench R15 multi-thread test for about 30 minutes in a continuous loop. The results were higher in the first run-through than the second, but after that they remained constant. The processor took advantage of its turbo, but the turbo's full potential remained untapped. The system behavior is fluid and stable; we did not run into any problems. 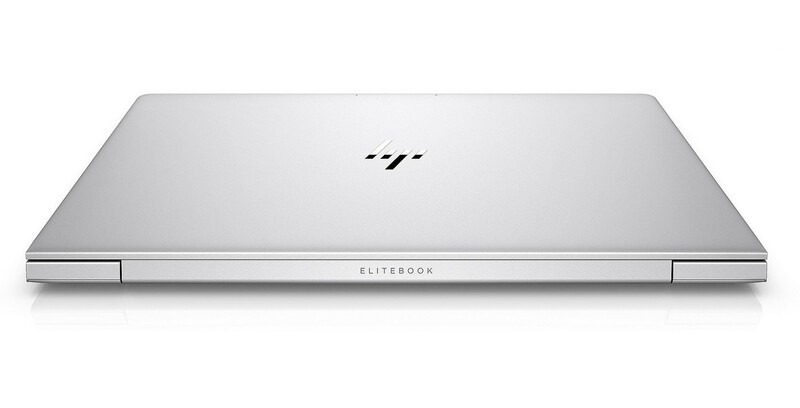 The EliteBook provides more than enough performance power for office and internet-related applications. Our subjective impression was validated by the laptop's very good scores in the PC Mark benchmarks. It is not possible to improve the computer's overall performance— HP has already maximized its computational power. An NVMe SSD from Toshiba serves as the system drive. This is an M.2 2280 model with a capacity of 1 TB. In factory default, around 885 GB remains available to the user. 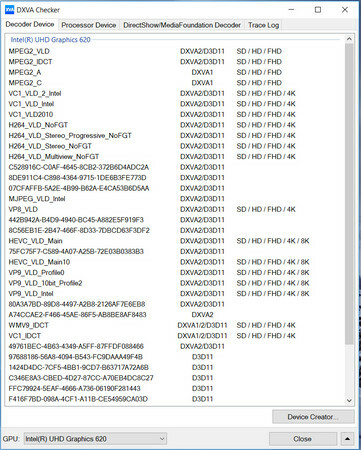 The remaining disk space is occupied by the Windows installation and the recovery partition. The SSD's transfer rates are excellent. NVMe SSDs reach substantially higher transfer rates than SATA III models as a result of their PCI Express 3.0 x4 connection. 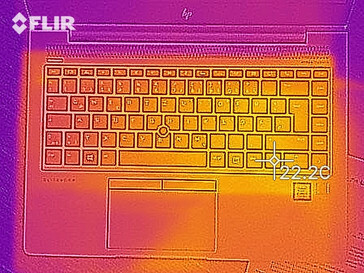 Intel's UHD Graphics 620 graphics core is responsible for the laptop's graphics output. This card supports DirectX 12 and runs at speeds of between 300 and 1150 MHz. The results in the 3D Mark benchmarks are in the normal range for this GPU. The card benefits here from the memory that runs in dual-channel mode, maximizing its performance capabilities and delivering better results. The 840 G5's hardware can run some games smoothly—at low resolutions and minimum quality settings. Users will simply have to select titles that have little in the way of hardware demands. 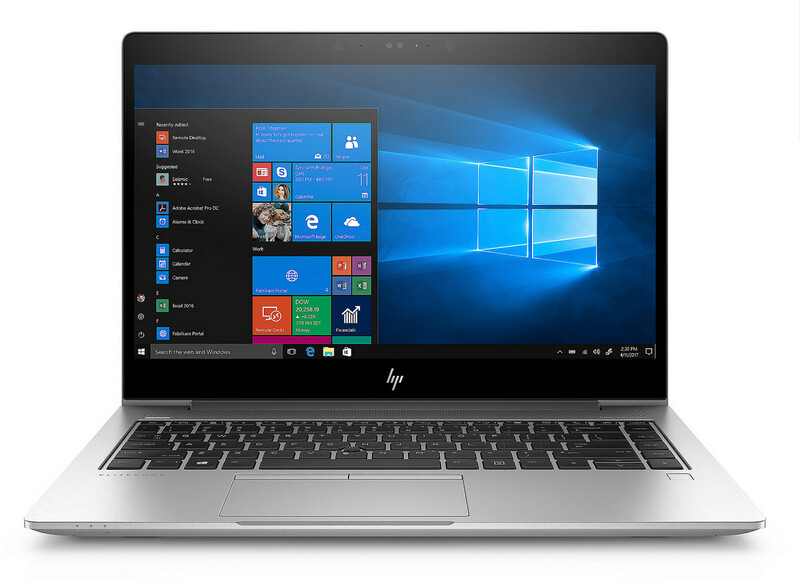 Because the laptop's memory runs in dual-channel mode, the system reaches higher frame rates than those achieved by comparable devices with memory running in single-channel mode. 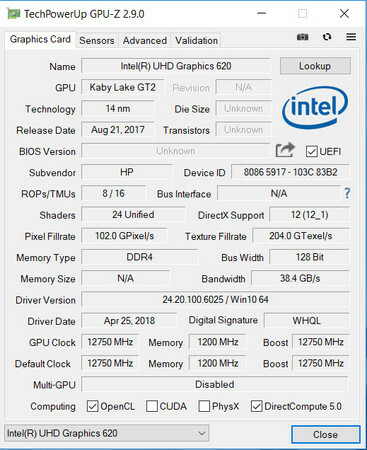 A game with substantial hardware demands—“Far Cry 5”, for example—is in no way playable on this computer. A work computer is expected to make little to no noise. In this instance, the EliteBook does not disappoint. 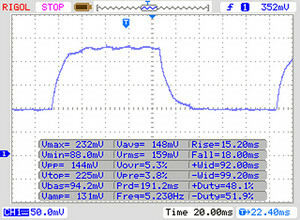 In idle mode the fan stands still as a general rule, leaving the machine to go about its work in total silence. 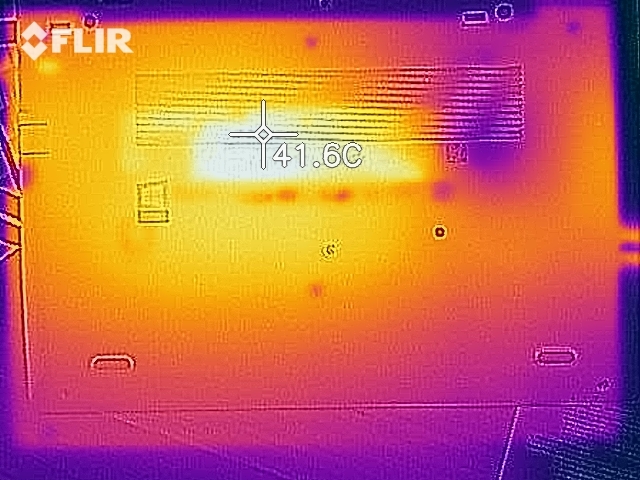 The fan does not run very often under load either. Under both medium and full load, we recorded a sound pressure level of just 33.8 dB(A). Unfortunately, one of the computer's inner components occasionally generates an audible electronic crackle. 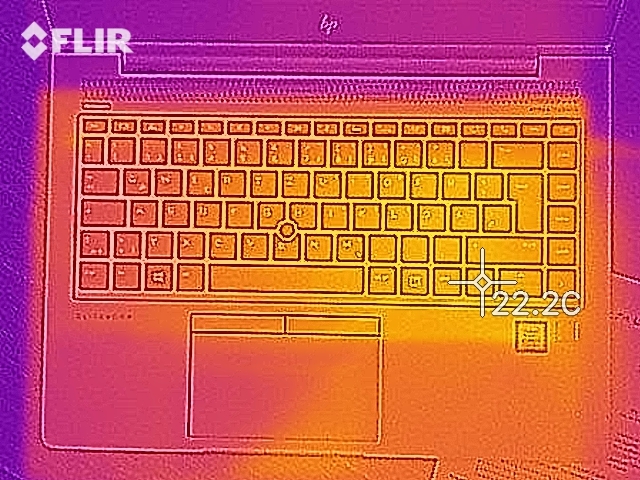 The EliteBook completed our stress test (Prime95 and FurMark running simultaneously for at least an hour) in different ways in AC power mode vs. battery mode. In AC power mode, the processor and graphics core ran at 1.2 GHz and 400 MHz, respectively. In battery mode, the CPU went about its work at 900 to 1100 MHz. 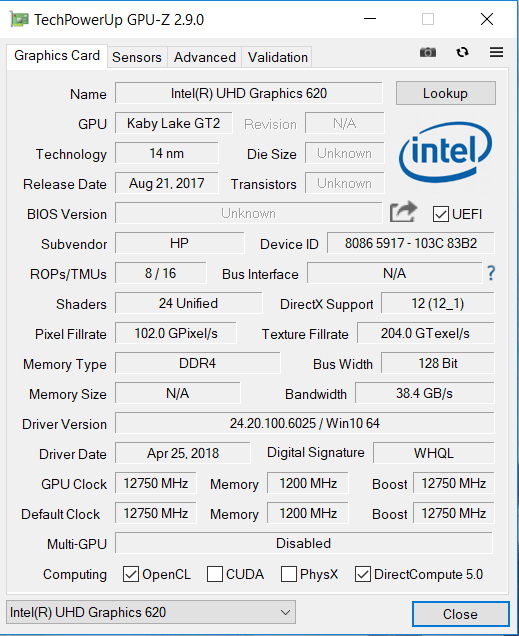 The GPU clocked at 700 MHz. 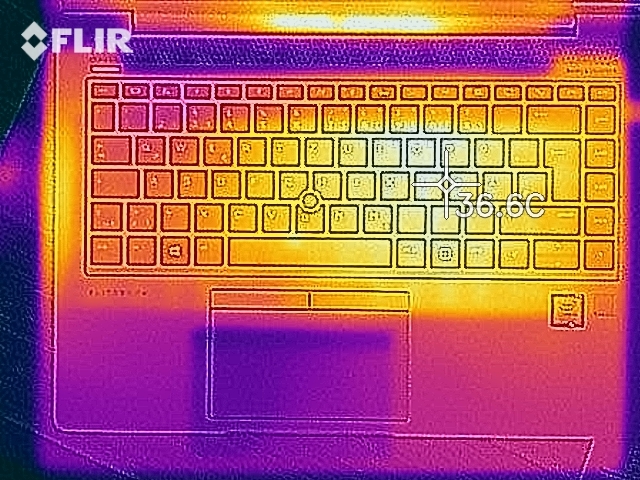 The EliteBook hardly warmed up at all during the stress test. The temperatures remained substantially below 40°C (104°F) in every spot we measured. (+) The average temperature for the upper side under maximal load is 29.9 °C / 86 F, compared to the average of 29.4 °C / 85 F for the devices in the class Office. (+) The maximum temperature on the upper side is 33.4 °C / 92 F, compared to the average of 33.9 °C / 93 F, ranging from 21.2 to 62.5 °C for the class Office. 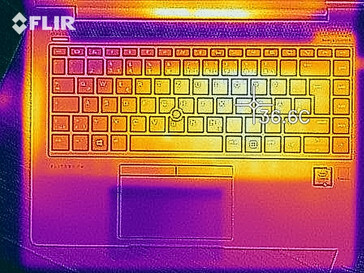 (+) In idle usage, the average temperature for the upper side is 21.5 °C / 71 F, compared to the device average of 29.4 °C / 85 F.
(+) The palmrests and touchpad are cooler than skin temperature with a maximum of 26.9 °C / 80.4 F and are therefore cool to the touch. 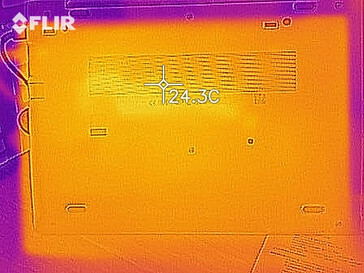 (±) The average temperature of the palmrest area of similar devices was 28.2 °C / 82.8 F (+1.3 °C / 2.4 F). In idle mode, we registered a maximum energy consumption rate of 10.7 watts. 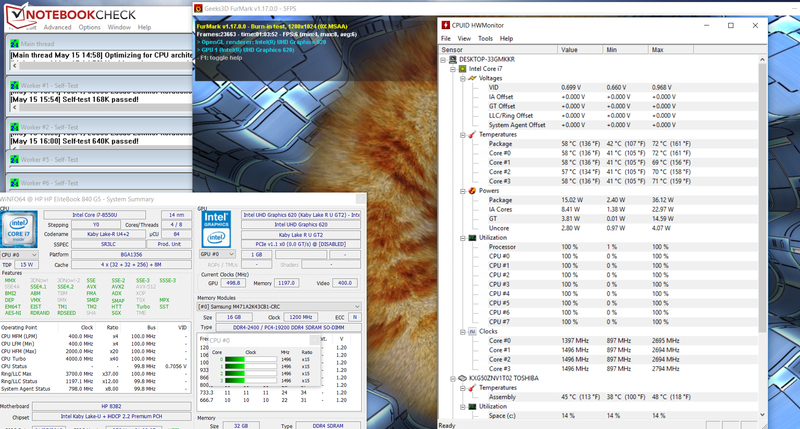 During the stress test (Prime95 and FurMark running simultaneously for at least an hour), the power consumption only rose to up to 37 watts. When Prime95 ran alone, the number climbed to up to 67 watts. 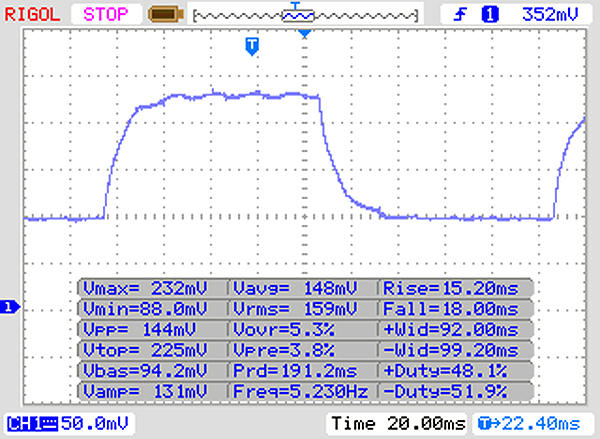 The power supply's output rating is 65 watts. Our test device comes with a USB Type-C power supply that plugs into the Thunderbolt 3 port. Our WLAN test—designed to simulate normal, everyday use—uses a script to load new websites at regular intervals. The "balanced" profile is active, the display brightness is set to about 150 cd/m², and the energy saving functions are deactivated. The EliteBook reached a run time of 7:24 h, placing it right alongside its sister model (7:27 h). The EliteBook 840 G5 belongs to the luxury class of business laptops. Our test device is the top-of-the-line model. 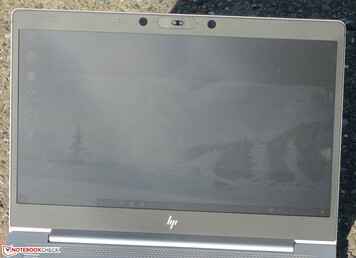 In terms of the laptop's configuration, HP makes no compromises. The Core i7 processor provides enough processing power for all the usual application scenarios. A fast NVMe SSD enables the system to run quickly. There is certainly no dearth of storage space: The SSD has a capacity of 1 TB. These features are accompanied by 32 GB of RAM. The integrated LTE modem enables the user to access the internet and/or company network wirelessly. The excellent keyboard is designed for heavy use and offers backlighting. The matte IPS display delights the eyes with its exceptionally high brightness, good contrast and stable viewing angles. The "SureView" privacy screen, which shields the screen content from prying eyes peering from the side, can be turned on and off at the touch of a key. Despite its high price of around 2700 Euros (~$3125; US model with 16 GB of RAM and 512 GB NVMe SSD on the market for $1737), the device has its weaknesses. Its battery life is no better than average. Several competitors have proven it is possible to achieve significantly more here. An occasional electronic crackle should not be heard from a device in this price range. The same goes for the PWM backlight flicker—even if only a select few are likely to notice, this price bracket demands better. A far greater number of users are likely to criticize HP for leaving out a memory card reader.